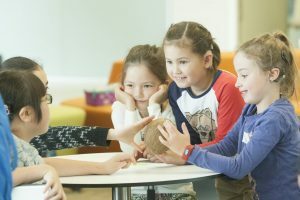 Macquarie has teamed up to deliver a special science camp for children who are deaf or hard of hearing (DHH), giving them a chance to experience STEM in a more inclusive and exciting way. 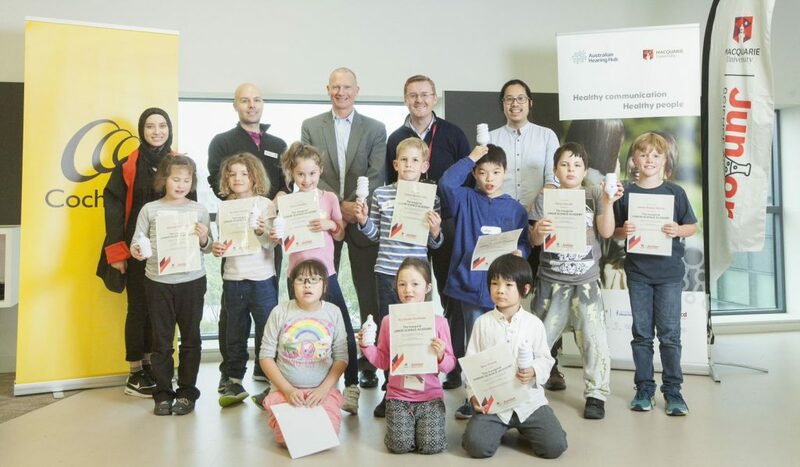 A collaborative effort between Macquarie, Cochlear Limited, the Australian Hearing Hub, staff in the Junior Science Academy, and Parents of Deaf Children, the two-day camp was designed specifically for DHH students, using assistive listening devices, closed captions and text handouts to help the students grasp topics like flight, gravity and mechanics. Class sizes were capped at 12 children to minimise the noise impact, and camp educators and coordinators underwent deaf awareness training in preparation for the event. The camp was initiated by Macquarie PhD candidate Chi Yhun Lo, after a similar camp – the Veronica James Science Challenge – was discontinued a few years ago. “That camp had a huge impact on many of my DHH friends, and when I found out it had ceased, it was a no-brainer to initiate our own program,” Chi says. The camp was a big hit with both the students and their parents, with one parent remarking that it was great for their child to be able to enjoy a camp with peers and adults who ‘got it’ about deafness.